Summer is coming up, it's time to plan the holidays and get a new bikini for the beach getaway I am dreaming off. 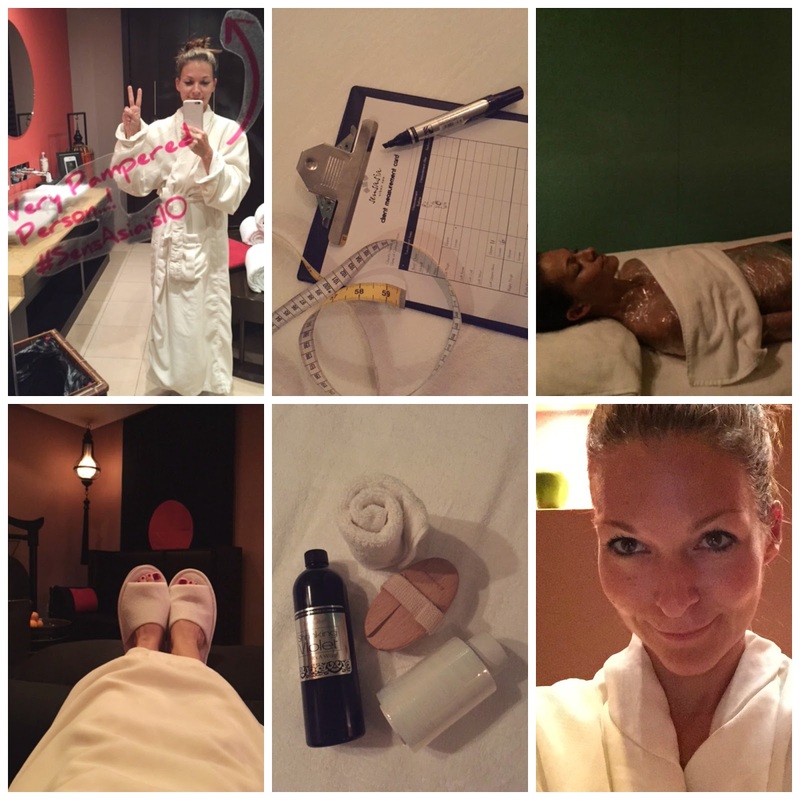 Well before getting to that… I got myself a "Skinny Beach" body, thanks to SensAsia Urban Spa. 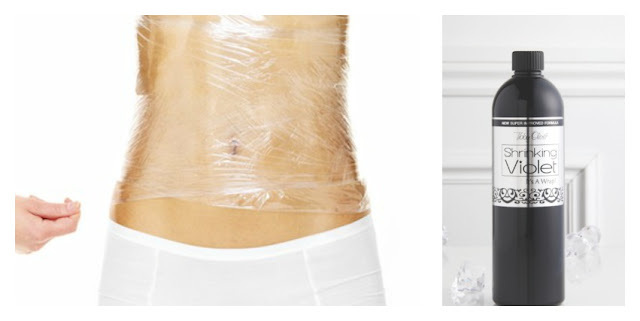 The Skinny Beach spa treatment follows on a new trend based on the Shrinking Violet wrap, an innovating body slimming, inch loss body wrapping product. The result does not rely on dehydration and loss of water, the active ingredient in the Shrinking Violet oil breakdowns unwanted fat and removes it and that’s what is making so different and so popular. Not that I was looking to loose weight really BUT like anybody I was hoping for improvement. The idea to firm up and smooth things out, boost circulation, reduce cellulite and detox was just the promise I was hope hoping. The Shrinking Violet treatment promise on top of that some inch loss guaranty. The fat reduction varies depending on your build, but most experience a dress size drop. A spa treatment at SensAsia is always a pampering treat, the atmosphere is just blissfully relaxing. I started with a full body Hot Salt & Pepper SensPolish to prep the body and fully benefit from the oil application. The Shrinking Violet treatment then could commence, the lovely therapist started by taking my measurements from bust, arm, waist, hips, legs… it's a weird process but, I guess by measuring before and after you get accurate results. First a body brushing session to increases blood and lymphatic flow to help eliminate toxins. Then I was asked to stand on a towels, legs a parts while the therapist applied the the "magic oil" rich in phospholipid and organic lavender, which smells lovely on the skin. It's a soya based oil, which is important to know because of soy allergy. I loved the smell and at that point the overall treatment was going well. A painless and effortless way to loose fat and inches. Then, it's time to be wrapped up! Using industrial size cling wrap, I was all wrapped from neck to ankles to seal in the oil. Stimulated by heat, the oil penetrates the skin straight into fat cells, where it breaks down fatty acids and shrinks them to a fraction of their former size. Definitely a weird feeling, limited with movement and with an itchy feeling all over, I felt quite uncomfortable. The first few minutes I got a bit worried and claustrophobic - how am i gonna managed to keep like this for one hour. The lovely therapist made me at ease within minutes. Three deep breaths, some essential oil to inhale, relaxing music and a head massage… I was on my way to dreamland. About 45 minutes later (and lots of sweating) , we removed the shrink wrap and proceed to the measurements again, in order to compare. More fat you have, more you will loose. I lost about 1,5 cm off all the parts measured, slightly more on my waist and less on my thighs. I felt amazingly lighter like rejuvenated and well detoxed. The wonderful feeling lasted for days. The loss in inches is not due to dehydration which returns the minute you drink fluids. In fact, you are encouraged to drink lots of water after the treatment to help with the removal of fat through lymphatic drainage. For the fat to come back, new fat has to form which would happen if you followed an unhealthy lifestyle eating excess calories. The success to the Skinny Beach treatment depends on combining the Shrinking Violet Body Wrap with exercise and healthy eating for optimum results - obviously! After the treatment, it’s also important to drink plenty of water before and after the treatment, dehydration can affect the results. No showering or swimming in the next 12 hours as the solution stays in the body for 72 hours; avoid tea, coffee or alcohol for at least 24 hours. All Shrinking Violet treatments taken at SensAsia Urban Spa come complete with a signature peppermint foot cleanse, plus a 15-minute, super stress-relieving foot massage. SensAsia has also created the ultimate inch-loss experience with its bespoke, special price Skinny Beach packages. Shrinking Violet can be paired with any 60-minute SensAsia facial – the ideal time-saving treat while the body is being shrunk! – at 20% off, or the perfect skin preparing and pore-opening Hot Salt & Pepper SensPolish for just 190dhs (usually 245dhs).